If God has already given up His Son for us, then there’s nothing else in the universe that The Father won’t give us. Salvation, forgiveness of sins, wisdom, riches and honor, prosperity, health, happiness; all these things point to Jesus Christ and all these things are but mere shadows of The Son. If you have The Son, then it is a guarantee, you already have all these lesser blessings. Do you think that God withholds health from us? Do you think God thinks we’re too much of a sinner to be having prosperity? Do you think God will give up His Son, Jesus Christ, and not give us the lesser things? God loves us so much that He gave up His one and only beloved Son! 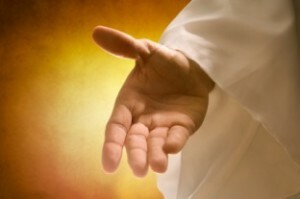 (John 3:16) If He has already given us a trillion trillion dollars, how will He say no to us when we ask for 1 cent? Let us stop insulting the love of God and the blood of Jesus Christ. Read the Gospels; for if you only know the true value of the Lamb who died for you and me, then you will not have a shadow of doubt that we truly have all things!